« Homepage / Research / "Ideal of the me – me ideal"
The ideal of the self (German: IdealIch) refers to the positive values that craves the subject, it is linked to narcissism (Freud 1914) and the second topical (Freud 1920). The self ideal, always in the Freudian metapsychology, refers to an instance based on an ideal of all infant power based on the infantile narcissism. Sigmund Freud employs well the term of ideal for me, but it does not really distinguish it from me. He simply part, me is not only this, but actually seeking to adopt consistent representations with the invested values. The ideal self is distinguished from the super-ego in that the super-ego is a purely critical instance, reversal of violence against oneself, for fear of losing the love of parents. Where the super-ego judge to condemn, the ideal of self, presents a model for identification: this instance described in fine satisfaction to the representation that meets invested representations as positive, good, well. This distinction brings the ideal of the self to a party, one of the functions of the self, or one of its aspects: the satisfaction of identification when it allows to keep love, when the identification is as consistent with the other representations. The ideal self is clearly distinguishable from the self. Then the instance moïque is the imaginary register, is alienating uptake of the subject, the ideal of the self brings the identification to a symbolic register. The ideal of the self brings together images, from the second other that embodies the law, proposing to the identifications. The ideal self is instance of the speech. The ideal self is linked to the stage of the mirror. The ideal self (in German, ichideal) refers to the subject is receiving as idealized. 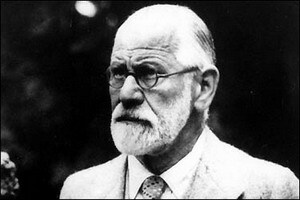 Sigmund Freud distinguished not the ideal self and the ideal of the self. The ideal self is understandable, yet according to a Freudian formulation. Hermann Nunberg is one of the first who nominated him under the name “my ideal” as earlier and more archaic than the ideal of the self. It is corolaire of a me unorganized, United to the it. It is then Daniel Lagache between the couple “ideal of the me – me” to that of “me ideal – it”. Freud think training me as spanning in several phases. If the me establishes the conscience and the reality principle, which will make possible the ability to admit defects based me reality, there is first a well more archaic me. Self pleasure, if it denotes a first work of differentiation between the inside and the outside, is consistent in effect advantages: he rejects outside any fault – or rather any displeasure, any imperfection – and think as the sum of any property. Me pleasure described thus the infant trend to be recognize as the property, and to designate the outside as evil. There are introjection of the good and bad projection. The ideal self is the instance of heroic identifications. If the self is already defined as imagination, the ideal self is triumph of storytelling, for example in the dream, or day dreams, expressing the power of the subject that sees itself as Superman (in the sense of superman, different concept of the Superman of Friedrich Nietzsche). The ideal self is, the place of the heroic fantasy, in which the subject is performing many wonders. The ideal of the self contains the features of the future objectaux choices. The ideal self is as “the one that I want to be”, the me-perfect face, “that I was”, Crown baby.